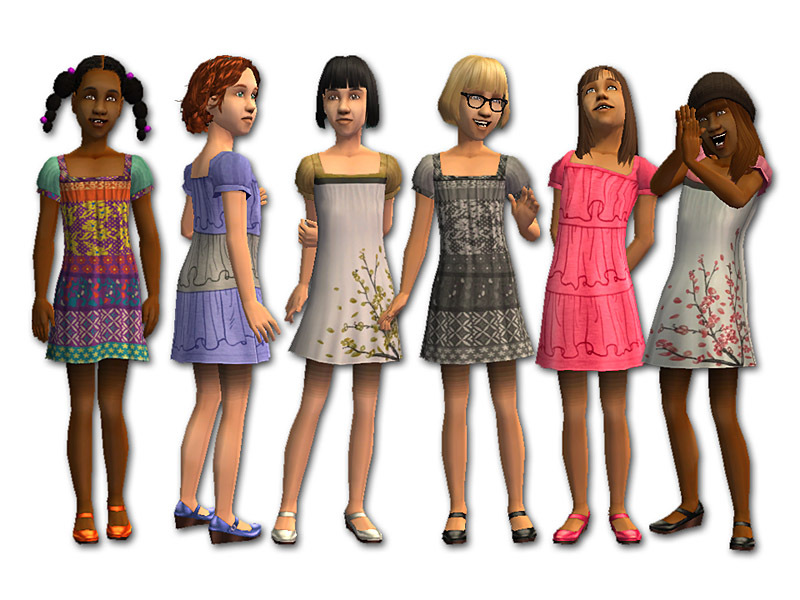 If there's one age group that's been a bit neglected in the Sims games, it's the tween age. Sometimes it seems a bit weird that my Sim girls go from wearing fluffy ruffles and bows to Goth garb overnight (or maybe that's just me). What is an 11-year-old Sim girl to do? Maybe she'd enjoy these dresses. Though they're converted from an adult dress, there's really nothing adult about them. I added some new textures to keep things fun and light, and paired them with Mary Jane wedges... perhaps your Sim girl's first pair of "high heels"! These dresses are set as Everyday. They use a new mesh (with a working fat morph) which is included. No EPs or SPs are required. 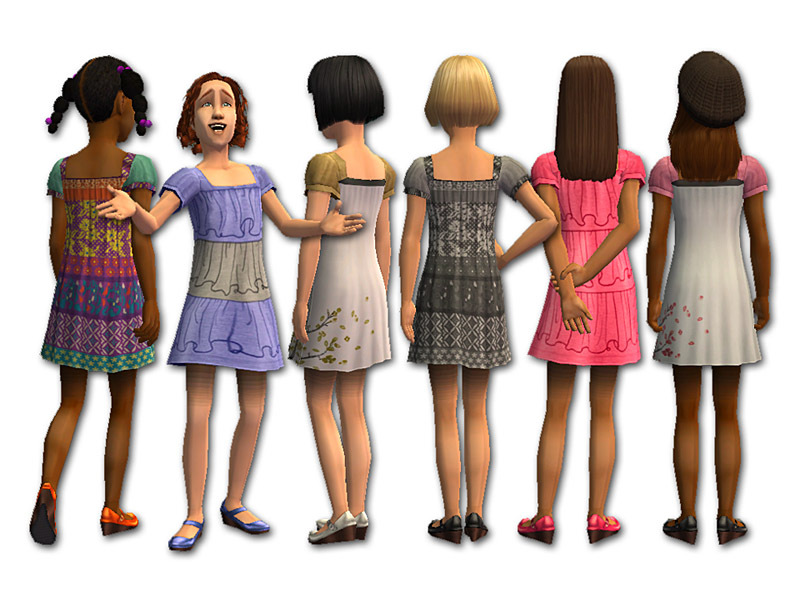 Thanks to LoveTheSims04, melodie9, Artemida, Trapping, and Maxis for the hairstyles. The black glasses are by tamo.